I had the opportunity to play with the newly released album and want to share some of my album pages with you. (If you're looking to purchase this album, they are stocked in the CTK Shop now!) 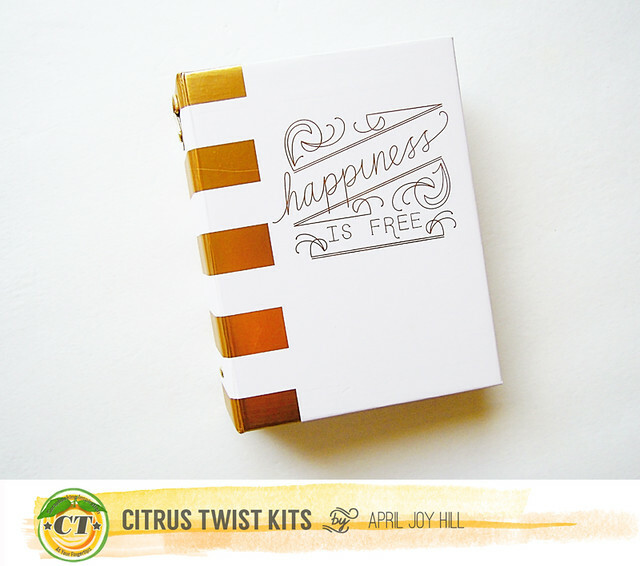 I used the March Pocket Life Kit, March Embellishment Kit, April Pocket Life Kit, and April Sprinkles Kit for a majority of the pages. I also added a few different alphas from my stash. Isn't this album gorgeous?! I love the white and gold! 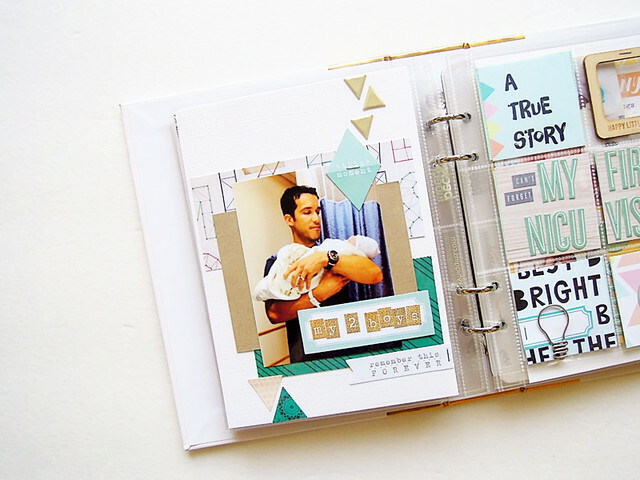 I made this album to document the day (or should I say early morning) that my son was born. These pictures that I included in my album were taken minutes after he was born. I am SO glad that my mom was in the delivery room with me and my husband. She was able to snap these photos while my husband and I were still trying to get a grasp that we were now parents of a human being. Crazy! I'm still working on how to divide this album. For now, I just put all my pages together. These next few pages are from the same morning that he was born, but during my first visit down to the NICU to see him. Seeing your newborn connected to a bunch of wires is pretty heartbreaking, but luckily, he was very healthy and only had to stay in the NICU for 2.5 days. I love the picture of him on the right side. He was just so awake and alert that morning. And there ya have it. 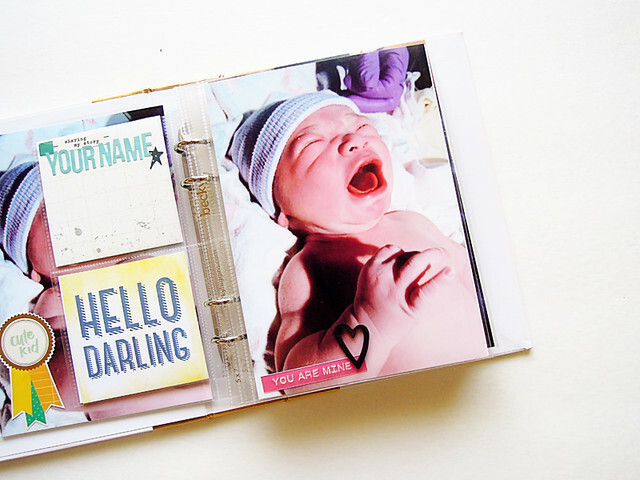 A few pages of my baby's birth album. 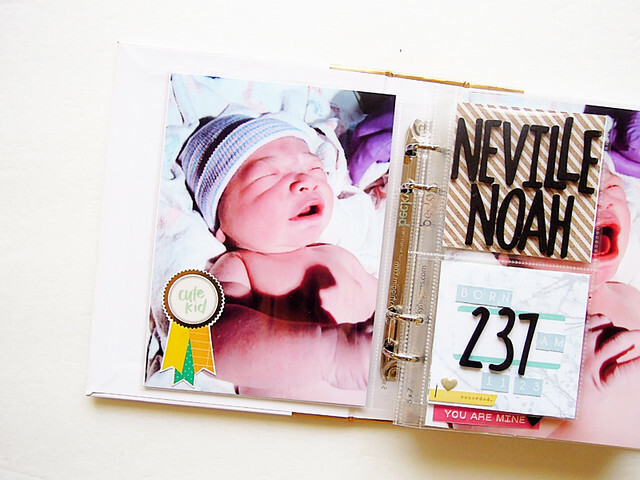 I'm still planning to have a separate baby album for him, so I'll likely use some of the same photos, but I thought this size mini album was perfect to spotlight his birth date! Like I mentioned in my PL post last week, this is my last project for CTK. I just wanted to thank Trina for such a great opportunity to design for her, the rest of the design team girls for all their love and support through the years on this team, and all of YOU for your love and support as well. Thank you all so much! Such a cute mini! 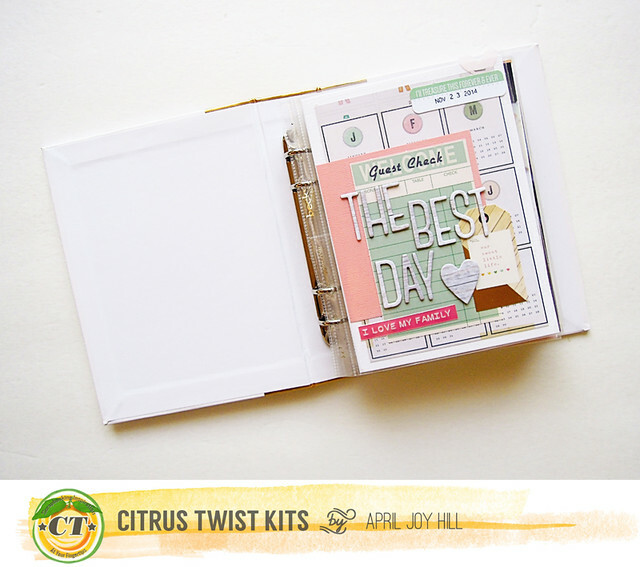 Love your work and sad to see you're leaving CT bit will still follow your personal blog! Congrats to you & such a gorgeous album of your baby boy! He's beautiful! Are You Ready for the May Mood Board? Please Welcome Our New Creative Team Members!